Why we don’t set any vaccine bundle-package or promotion in our clinic? Which vaccine will you recommend for traveler to Thailand? Should I take antimalarial tablet in Thailand? What should I do if I have fever, am I having malaria or dengue? 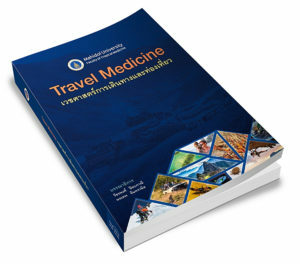 Where is Mahidol University’s Travel Clinic? This is one of the most common questions being asked in our travel clinic. Basically, we would say NO and this recommendation is the same as which is issued by the Ministry of Public Health of Thailand. There are several reasons why we do not recommend the use of antimalarial medication in Thailand. 1. The risk for someone to get malaria in Thailand is very, very low. You may ask how low? please read this article “Risk to get malaria in Thailand”. Most part of Thailand is malaria free. We do have some risks but confine only in the jungle and forested area especially in the border area. There is no risk in the city or in urban area. Most tourist destinations are malaria free including Phuket, Samui, Pattaya, city of Chiangmai. 2. In Southeast Asia, we have a problem of multidrug resistance malaria. So no antimalarial medication is 100% effective. Moreover, you may develop some side effects from antimalarial medication. 3. Malaria is not difficult to treat if we could begin the treatment early. Most fatal cases of malaria usually result from delay diagnosis and treatment. That means whenever you develop fever while or after traveling in malaria risk area, please seek for medical facility. Fortunately, health care facility in Thailand is widely available throughout the kingdom. We have malaria clinics, district hospitals, provincial hospitals and regional hospitals. All of the medical facility level especially in malaria risk area could give the diagnosis and treatment of malaria. Although we do not recommend to take antimalarial medication in Thailand, it doesn’t means that you need no protection. You should always use the insect repellent to prevent mosquito bite and that will prevent you against other mosquito borned diseases such as dengue, chikungunya infection also. And you should know signs and symptoms of malaria. Please read FAQ about malaria in Thailand for more information. 3 comments to Should I take antimalarial tablet in Thailand? the precious information you provided do help our team’s investigation for my corporation, appreaciate that. I have traveler’s diarrhea in Thailand, what should I do? Should I see a doctor? Dengue vaccine for travelers/foreigners in Thailand: Should I get it? Copyright © 2005-2019. Thai Travel Clinic.